Self drilling screws, also known as Tek screws, are fasteners with a special pointed end style that allows them to penetrate thin materials without a starting or pilot hole. Also known as self tapping screws or self drilling bolts, they cut or form threads to engage with the mating material. When selecting a self drilling screw, consider the type of point required for the application, system of measurement, thread size, material and coating, compatible materials, head style, and drive style. Steel and stainless steel self drilling screws are most common; however, other material types may be available. 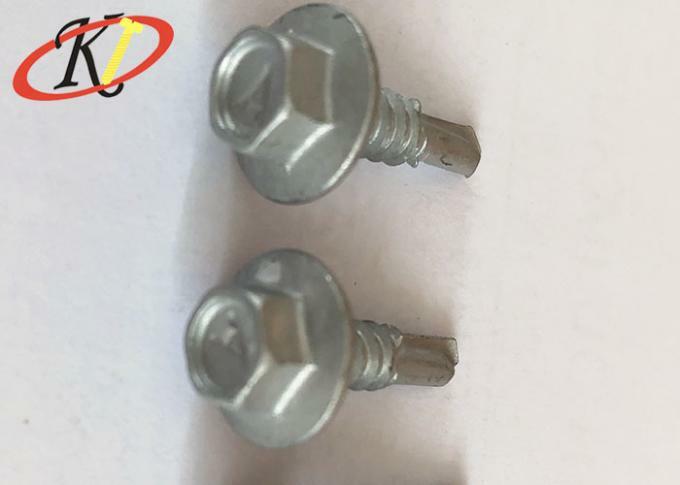 The fastener may be coated for performance. Self drill bolt types include those designed for wood, concrete, steel, and drywall. They may have a flat head, wafer head, pan head, pan bugle head, or some another less common style. 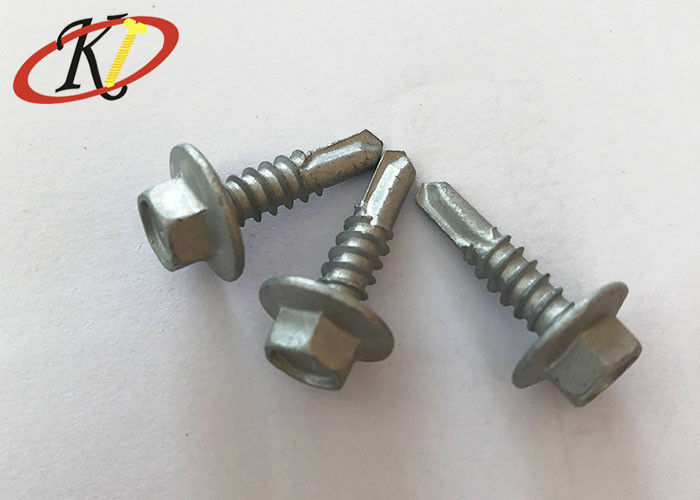 This type of screw may be described as Tek self drilling screws, which refers to the original manufacturer of the design. A: We are manufacturer, and have been in this line for more than 18 years. Both design team & manufacture team will support our products. 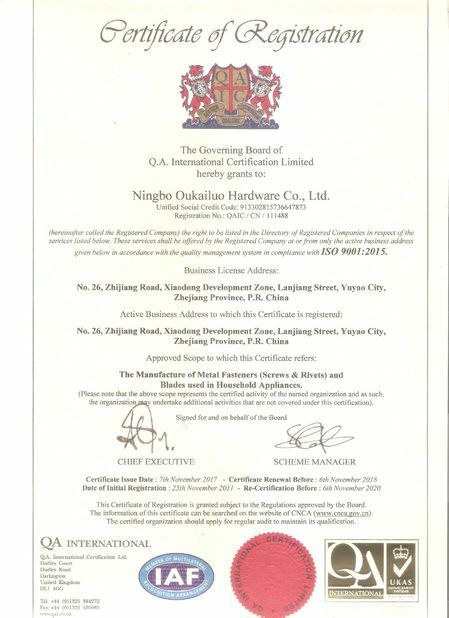 A: Our factory is located in Yuyao Ningbo, Zhejiang Province. We will pick you up at Yuyao Bei station if you come to visit our factory. All our clients, from home and abroad are warmly welcome. Q: What’s your main products? Can customize or not? A: Our main products are screws, nuts, bolts and other fasteners. A: Yes, we could offer the sample for free charge if we have stock, but do not pay the cost of freight. 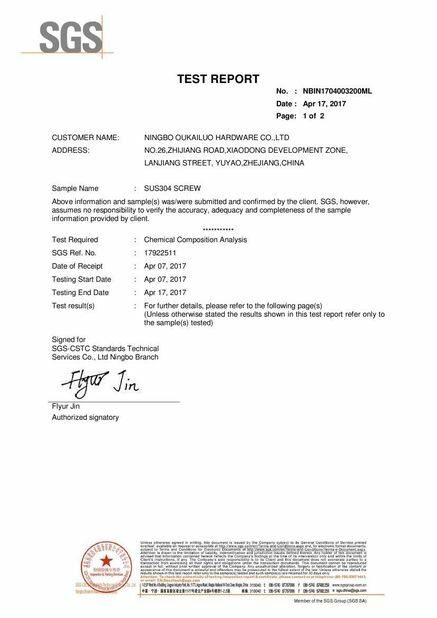 Why should you choose Oukailuo Hardware? 1. Mainly specialized in all kinds of Non-standard precision hardware components. We are specialized in kinds of precision CNC turning parts, automatic lathe parts, precision screws, micro screws, rivets and nuts, washer, stamping parts and other product. Our products are widely used in electronic, hardware, lighting, toy, bathroom, furniture, medical equipment and other industries. We have engaged in hardware manufacturing for 18 years you can customized non-standard, high-precision, specification, hardware accessories of type anti-theft series development and manufacturing as your requirements.